“Care management” is a broad framework that encompasses many different components, but they are all aimed at achieving a few very significant objectives: reduce health risks and the cost of care by delivering the most appropriate care to the most appropriate patients at the most appropriate times. Execution of effective care management isn't easy. It requires that organizations have a strong grasp of the needs of their patient populations and are capable of taking a team-based, patient-centered approach to treatment — one that must often be carried between sites of services and requires careful coordination of care transitions. But when care management is successful, it can transform an organization's delivery of care and services. As with many healthcare initiative, the more work an organization puts into its care management program, the greater the improvements it can expect to achieve. Of course, any efforts undertaken to develop and strengthen care management must be carefully executed to ensure there are no breakdowns in processes that can cause delay or harm patient care, prevent staff from performing at their full capacity, and waste valuable time and money. This e-book aims to help organizations develop the foundation for care management, if they lack such a program, and assist those organizations with a program already implemented to identify a wide range of opportunities for improvement. It should represent just one of many resources organizations can use to help ensure their care management programs help deliver on the triple aim of healthcare: improving the experience of care, improving the health of populations, and reducing per capita costs of healthcare. According to the last survey conducted by the U.S. Department of Health & Human Services, there were over 125 million outpatient department visits in a single year to U.S. hospitals. With such high patient volume, every healthcare organization should take a thorough review of its patient intake processes and identify areas for improvement. Here are a few best practices your organization should keep in mind when considering ways to improve your processes. Address language and literacy — It’s essential to identify a patient’s preferred language and provide documentation in that language. If not, your patients may not understand your requests or feel comfortable completing required paperwork, which will make it more difficult to provide them care. To ensure you’re prepared, have all documents in the common languages spoken in your community and a translator available. 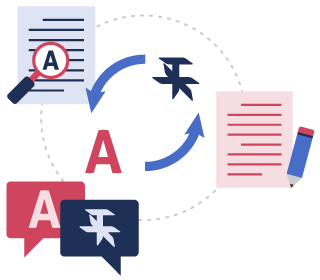 For organizations that can’t afford a full-time translator, there are several translation services and applications you can use. Patients with low health literacy may also struggle to complete intake documentation. A screening process and a process for how to assist those patients should prove helpful. Use EHR Module – Most electronic health record (EHR) systems include a standard module or offer an optional module to assist with patient intake. Before implementing these features, task those who will be working with the module to test it out and provide input. It’s also crucial to configure the intake module around your hospital’s specific needs. Invest in a Separate Management System – If your EHR’s intake functionality doesn’t adequately meet your organization’s needs, it may be beneficial to explore a patient intake management solution that can integrate with your EHR. Research has shown that using a patient intake management system can help organizations increase efficiency, focus more on the patient experience, and reduce overhead costs. 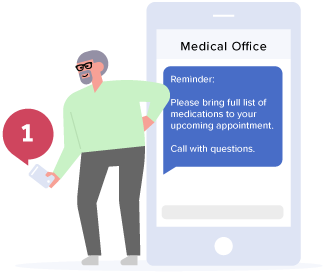 Leverage Electronic Messaging – To give patients the best care possible, providers must have access to detailed information, such as medication history, allergies, family history, information on primary care doctor, medical conditions, and history of hospitalizations. However, a major barrier to effectively gathering this information is that patients don’t always remember all these details. Using electronic messaging provides the ability to remind patients through email and/or text that they should bring all medications to an appointment, undergo bloodwork, or come prepared to cover their portion of the payment. 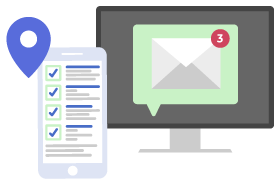 If your institution does not use a messaging platform, there are several HIPAA compliant, secure messaging services you can research and consider (including Cureatr’s). Monitor, Measure, Act — Finally, understanding that the patient intake process is critical to starting or continuing a patient’s treatment, you must also monitor and measure its performance. Make sure you’re also constantly seeking opportunities to improve performance and identifying potential problems. Tackle these issues and then continue to monitor and measure. Another vital area of care management is patient engagement. Let’s take a look at three reasons why you should include patient engagement in your care management plan. 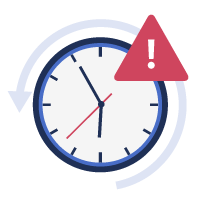 If patients are asked to complete a particular service more than once, this could delay their treatment. In addition, it will also waste a patient’s money and a provider’s time and increase the potential risk of an investigation of fraud. To identify potential duplication, caregivers must ask patients whether they have already received a particular service when discussing treatment plans. Care management programs have become a vital part of helping organizations improving the quality of care while reducing costs. They have become especially important as organizations have moved from fee-for-service to value-based payment models. As you evaluate your care management program, consider these best practices. Define Program Scope — Don't try to tackle too many initiatives at once. A program will perform best when projects are aimed toward specific populations and/or specific needs within the community. Engage Stakeholders — Stakeholder support can be critical to your program’s success. Be sure to involve appropriate stakeholders in the development and execution of the program. Establish Objectives and Timelines —To determine success with your program, outline objectives and timelines to achieve them. Measure and Evaluate Performance — With the established objectives stated earlier, you can measure and evaluate the performance of your care management efforts. Secure Financial Support — When working to secure financial support for the program, have a plan for how that money will be used. Developing a budget or calculating estimated costs can be helpful as well. Learn from Experiences — Particularly if your organization has multiple care management programs, ensure that program leaders are sharing updates with one another. This may include status updates, new initiatives, successes, failures, and lessons learned. There’s no easy solution for improving medication adherence and management. However, there are a few areas you can focus on that have a practical application and maximize the return on time invested. Provide patients with fact sheets and tools — While putting together resources for patients may take some time in the beginning, it can be relatively inexpensive and worthwhile in the long run. If you don’t currently have such resources, look for information sheets online that can be used or modified. In addition to pulling these together, designate a staff member who will be responsible for ensuring there are enough copies and that the information is kept current. It is worthwhile to consider providing these resources electronically via a patient portal or document repository and to have them available in many different languages. Involve patients and families in the process — Clinicians can only do so much concerning medication management. By involving patients and their families, this will increase the likelihood of long-term adherence. Fine-tune patient conversations —Clinicians have less time with patients than ever before. In fact, a USA Today article notes that some physicians who work for hospitals say they've been asked to see one patient every 11 minutes. With limited time to converse with a patient, this time must be used efficiently. For example, motivational interviewing is a patient-centered, non-confrontational communications skill set that can effectively drive patient conversations about medication issues and adherence. A valuable source for improving adherence conversations is the American Medical Association’s Steps Forward initiative. There are countless instances of patients going to the emergency room (ER) for non-emergency issues. Here are a few ways your organization can work to prevent unnecessary visits to the ER. 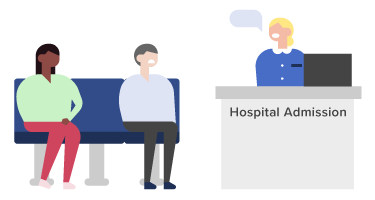 Create a campaign — Whether it’s a catchy phrase or ensuring there are signs in the ER, patient waiting rooms, etc., patients should be told repeatedly that in most instances they should call their doctor before heading to the ER. Clinicians should reinforce this to patients upon discharge from every encounter. Create handouts — A handout can provide valuable information in directing patients where they should go under certain circumstances, e.g., when to call the doctor, when to use urgent care or access telehealth, or when to call to the ER or call 911. Promote use of personal health triage applications — Technology advancements also offer the opportunity to provide younger patients (typically under 40) the ability to check an application. By guiding patients through a series of questions, they can determine whether a visit to the ER is necessary. Offer telehealth as alternative — Telehealth is another alternative growing in popularity. Patients can access a physician without leaving their home and determine if an ER visit is really needed. Target certain patients with one-on-one education — For “high-fliers” — patients who have been in the ER more than four times in 12 months — provide personalized education about when they should or should not go to the ER. Gaps in care occur for many reasons. Often, when relationships between patients, providers, and payers develop problems, issues can then arise that allow patients to fall through the cracks of the system. To avoid such scenarios, organizations should have actionable data at their fingertips. Here are a few steps to strengthen data collection and maximize its effectiveness. 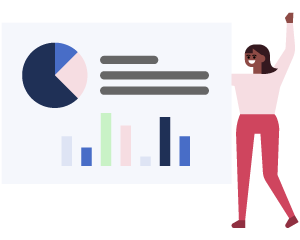 Audit Your Data — It’s important to know what data you are collecting, who is collecting it, where it’s being stored, and how it’s accessed. Once you have this information together, evaluate if there are any opportunities to eliminate redundancy, consolidate data collection efforts, and identify opportunities to combine data sets. Educate on Data Collection Purposes — While data collection can often feel like a burden for staff and patients, it’s crucial to educate both on why it is so important for patient care. For your staff, explain how the data is being used and why it’s needed for determining appropriate treatment, patient safety, and compliance. For patients, explain why accurate personal information is necessary for ensuring accurate diagnosis and treatment. Act on What You Collect — Data collection is great, but if you don’t do something with it, it’s worthless. Failing to assess data and act on what it tells you could lead to your missing out on valuable insight for improvements. Enhance Data Integration Across Entities — Finally, another key part in using data and avoiding potential gaps in care is ensuring that data is integrated between entities that share the responsibility for patient care. If data is missing or incorrect across systems, it will increase the likelihood of problems in ensuring optimal delivery of care. Poorly coordinated care transitions waste billions of wasted annually. Poor transitions can also lead to poor health outcomes. Care transitions are considered so important that there is a dedicated government initiative — the Community-based Care Transitions Program (CCTP) — that sets goals for improving care transitions for hospitals and other settings. Develop policies and procedures — Produce policies and procedures that establish protocol and standards to address every transition. All staff responsible for transitions should receive training on these rules. Wherever possible, require staff follow standards for care transitions by using technology. Create a care transitions task force — A task force can help ensure that efforts for ongoing improvements are not overlooked. The task force can review data on care transitions, identify areas for improvement, make recommendations on changes, and verify whether changes were implemented successfully. Understand root causes of ineffective care transitions — While there are many factors that can contribute to ineffective care transitions, there are a few core causes you should be aware of: communication, patient education, and accountability. Reviewing how your organization approaches each of these should help you uncover potential issues with care transitions. Learn from others — Much can be learned from how other healthcare organizations successfully improved transitions. Read stories like these for inspiration: University of California, San Francisco and Cincinnati Children's Hospital Medical Center. Tap into technology — Several information technology companies have launched solutions intended to help improve care transitions. A few examples include TrekIT Health, edoclist, and Kolkin Sign Out Software. Incorporate resources — There are numerous resources available online designed to strengthen care transition process. These include Whole-Person Transitional Care Planning, Discharge Process Checklist, and Next Step in Care. Care coordination and care management are two important patient support services. To understand how coordination affects management, let’s look at the definitions of each concept. This includes a combination of post-acute care needs and services across a variety of settings — from arranging for home health care or a skilled nursing facility to connecting patients with mental health, financial assistance, or durable medical equipment (DME) providers. Ultimately, this coordination exists to help patients and families navigate the complicated healthcare system. Largely clinical and focused on delivering high-touch, post-acute care follow up as well as helping patients manage their medications, chronic conditions, and care needs. Typically delivered by nurses, care management is a team-based, patient-centered approach to reach out to and/or use technology to monitor patients. To deliver great care coordination that supports care management, consider these four recommended practices. 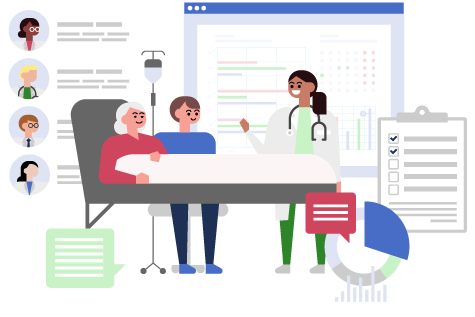 Develop Standards and Systems — It’s vital that all teams within a care network use the same forms, checklists, and resource guides and that there are set communication standards in place. Communication should be the same between community physicians, long-term care providers, DME providers, and other community resources to ensure consistent information. Deliver Comprehensive Training — In addition to training care coordinators in areas like completing workflows and using the right resources, forms, and data systems, they should also be able to identify social determinants of health, build trust with patients, and be culturally sensitive and aware of how cultural differences impact a patient’s desire to use clinical resources or follow care instructions. Prioritize Communication — Clear communication is critical to getting patients to go where they need to, when they need to so care delivery remains on schedule. Care coordinators should ensure that patients and their families are clear about why they are being referred to a specialist and how to follow post-acute care instructions. They should also be good listeners and build relationships with patients, their families, and community providers. Ensure Access to Integrated Technologies — Through the use of electronic health record (EHR) and integrated systems, care coordinators and population health managers will have greater access to the tools they need to receive and share patient information and coordinate services. As you design your care management process, there are a few best practices to keep in mind. Create and follow care plans — For the sake of consistent treatment, care plans must at least detail medical needs, histories, patient goals, and interventions. More extensive plans should be developed for patients with complicated conditions and those taking multiple medications. High-risk patients should receive more urgent attention and extensive care planning before being discharged from the hospital. Finally, care managers should ensure that patients with complex needs receive the resources and support that they need. 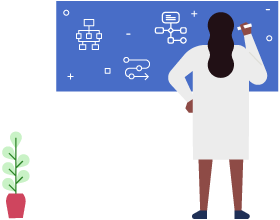 Assign patients to primary care managers — Designating care managers to specific patients helps create more optimal conditions for patients to follow their care plans. In addition to having access to any patient information, such as labs, discharge summaries, medication lists, and x-rays, the relationship that care managers develop with patients is even more important. Close relationships allow them to impact care more than primary care physicians, particularly when it comes to time available to help patients. Account for psychosocial factors — This particular area should not be ignored but can be missed without the appropriate plan in place. A care plan should address personal situations for patients, such as, one’s financial situation, support system, nutritional habits, and cultural background. Each of these can affect a patient’s ability to follow a care plan and, ultimately, their health outcome. Rely upon motivational interviewing techniques — This best practice ensures that the focus is on patients rather than physicians. 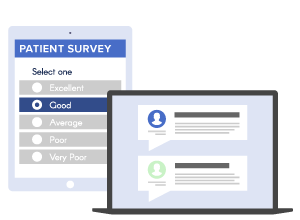 It allows providers to ask exploratory questions of patients rather than simply talking at patients. These questions help patients understand their care and encourage self-efficacy. Empathetic methods also allow care managers to talk about more sensitive topics, such as medication adherence. Each of these best practices allows care managers to pull together the full picture of a patient, going beyond symptoms and medications. An effective care management process allows the provider to actively work with patients and make a difference in their treatment. Keeping patients on the most sensible and effective treatment path. Focus on collaboration — Even just one individual who believes the workflow is flawed and performs a task differently than expected can affect the whole team and put patient safety at risk. This is why it’s vital to secure buy-in from all stakeholders, which may include department leadership, clinicians, IT representatives, staff, and vendors whose products and/or services are used in and support the workflow. While it is unlikely that buy-in will ever be unanimous, it is vital that organization leaders communicate the importance of the workflow and why following it is critical to patient safety and care. Invest in technology — The right technology can make your organization’s processes more efficient. This may include clinical event notifications, workflow checklists, and task management solutions. When searching for new technology to implement, it’s important that organizations do so carefully. Any new technology implementation is likely to affect your workflow, so do your due diligence prior to investing. 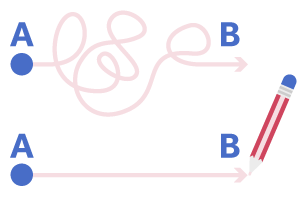 Do a redesign — Rather than making a series of changes across workflows, it may be necessary to start with brand new ones. This may be particularly helpful for processes or tasks being duplicated. In a report by The Joint Commission on transitions of care, a study is referenced which estimates that 80% of serious medical errors involve miscommunication during hand-offs between medical providers. Knowing that patient safety is at risk due to these errors, chief medical information officers (CMIOs) must make decisions based on data. Here are four statistics in particular that relate to improving care transitions. Readmissions — According to JAMA Internal Medicine, during a review of 1,000 general medicine patients readmitted within 30 days of discharge to 12 U.S. academic medical centers between April 2012 and March 2013, 269 were potentially preventable. Medication Errors — According to “Patient Safety and Quality: An Evidence-Based Handbook for Nurses,” more than 40% of medication errors are believed to result from inadequate reconciliation in handoffs during admission, transfer, and discharge of patients. These are just a few revealing statistics that show the importance of CMIOs assessing the data captured by their organizations to determine what changes should be made to improve care transitions. There are a few steps to consider as your organization works to reduce readmissions. Start discharge planning at admission — Discharge planning should be considered a process rather than an event. When the process starts early, this provides the opportunity for providers, patients, families, and caregivers to identify the post-acute care issues that will need to be addressed to reduce the risk for readmission. We recommend starting discharge planning at admission. Involve family members and caregivers — Since medication management is so complex, involving families and caregivers is a vital step toward ensuring patients follow their care instructions and have a support system already in place after they leave the hospital. By involving families and caregivers in the medication management process well before discharge, they can do a better job of caring for loved ones. Thirty-five states have passed the Caregiver Advise, Record, Enable (CARE) Act, which is advocated by AARP and requires that caregivers be involved in the discharge process, have their names entered into patients' medical records, and be kept informed about when their loved ones will be discharged and what is required for their post-discharge care. Don’t reinvent the wheel — As you work to reduce readmissions at your hospital, know that it isn’t necessary to start from scratch. There are many discharge planning toolkits available, including Project BOOST, launched by the Society of Hospital Medicine with input from the Institute for Healthcare Improvement, The Joint Commission, and other organizations. Involve pharmacists — By having pharmacists review medications, adjust dosages, answer questions, and arrange for follow-up home visits, one hospital — Philadelphia-based Einstein Medical Center — found that this reduced readmissions by more than half. Schedule a seven-day follow-up appointment for high-risk patients — Scheduling a seven-day follow-up appointment has proven to reduce readmission rates for high-risk patients more than those without an acute or chronic condition. Consider these patients' risk factors and condition after leaving the hospital, many patients won’t remember to call and schedule a follow-up appointment. Schedule this with them before they are discharged. Call and/or use remote monitoring after discharge — A follow-up call from a nurse and remote monitoring are both powerful actions that can help reduce readmissions. A call allows for questions from the patient and allows the nurse to provide reeducation about medication, if needed. From remote monitoring to telehealth, hospitals have many other options for connecting with patients. For example, a Horizon Blue Cross Blue Shield pilot program in New Jersey is remotely monitoring congestive heart failure patients by equipping them with a small transmitter that sends readings to the payer. 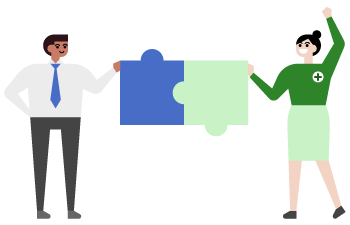 Strengthen relationships and communication with community providers — Finally, don’t underestimate the power of partnering with other organizations. These relationships will be vital to reducing readmissions. Consider sharing readmission reduction improvement measures, inviting physicians to provide input regarding discharge, and collaborating on post-acute care processes with other providers in your community. According to a Journal of Patient Safety study, about 13% of 30-day hospital readmissions occur due to adverse drug events (ADEs). This statistic and other similar data points suggest that hospitals should focus on preventing medication mishaps to reduce readmissions. Here are three steps to focus on to help reduce 30-day readmits. Focus on front-end medication reconciliation — First and foremost, organizations must have a strong medication reconciliation process. When medication histories are inaccurate or incomplete, this can easily lead to ADEs. To reduce readmissions, strive to collect accurate data on the front-end and make sure that this information follows the patient throughout the care continuum. Gain visibility across all care settings — Since many patients receive care in a variety of settings, poor sharing of information (or perhaps none at all) between different facilities and organizations can increase the risk of ADEs. When patient data is inaccurate or unavailable, providers may rely on patients or their family members for information, which can often be unreliable when based solely on memory. Without a reliable and real-time data source that can be used across care settings, this can directly impact patient care and safety. When physicians don’t have necessary medication information, they may prescribe something that interacts negatively with another drug a patient is taking. What can be done to address these challenges? Organizations must implement a solution to gather data from multiple sources so doctors can make a more informed decision. Build patient trust — Finally, building patient trust is another necessary step in reducing readmissions. When patients trust their providers, they will be more likely to become an active and engaged participant in their own care and follow the advice they receive. By learning what causes patients to avoid medications or obstacles that might prevent them from taking their medications as prescribed, physicians can more effectively communicate with their patients and make sure care regimens are followed properly. Post-hospital syndrome (PHS) is described as the temporary, vulnerable condition of patients after discharge that puts them at greater risk for generalized, adverse events that can cause readmission or death for reasons that have nothing to do with the condition for which they were being treated in the hospital. While many patients may be readmitted due to poor discharge planning, mismanagement of medications, or lack of follow-up, inpatient stress may contribute to readmission more than organizations realize. Below we’ll share a few ways hospitals can reduce the impact of stress and, therefore, readmissions that could be caused by PHS. Make sure you explain PHS to patients and their families so they can watch for warning signs, which may include difficulty sleeping or anxiety. Providing written or electronic guidelines can also prove useful so that patients and their families can reference them and call their physicians, if needed. There are steps that providers can easily take to avoid stressors for patients. For example, work to eliminate some medical equipment noises and other unnecessary disturbances. It’s also important to ensure that you have enough staff to help patients when they need assistance. Don’t get caught up in following a process just because it has been in place for a while; modify process so that you are most effectively meeting patients’ needs. If patients don’t want the food served in your hospital, this may disrupt their healing process as nutrition is an important element on the road to recovery. One great example is the Good Food, Healthy Hospitals Initiative in Philadelphia. Sixteen hospitals signed a pledge to offer healthier and more sustainable food and beverage options to patients, staff, and visitors. There are several steps hospitals can take to improve their patients’ surroundings. From providing rooms with cheerful colors and natural light to allowing patients to bring their own clothes rather than wear hospital gowns, even a seemingly minor detail can affect patients’ stress levels. Finally, follow-up communication is a crucial step in helping patients avoid PHS. For example, patients may miss signs of a fever or mental health issue, which may be identified by a clinician communicating with them through a care management app, telehealth, or phone visit, or a visit by a home health provider. Follow-up calls should also inquire about patients’ well-being rather than just the condition for which they were in the hospital. As we touched on earlier in this guide, the discharge planning process plays a key role in overall care management. The idea of a seamless discharge planning process is simply when patients are effectively and safely transitioned from the hospital to their home. However, when seamless care does not happen, effects can include falls, adverse drug events, worsening conditions, or new, avoidable conditions. Planned interventions, durable medical equipment, wound care, etc. Patients and/or their family/caregivers receive, understand, and be encouraged to participate in the development of the transition record, taking into consideration the patient's health literacy, insurance status, and cultural sensitivity. 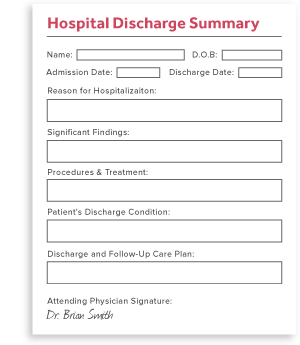 It’s also important that post-discharge summaries are readily available for primary care physicians. Hospitals should consider ways they can improve the timeliness and availability of their summaries. 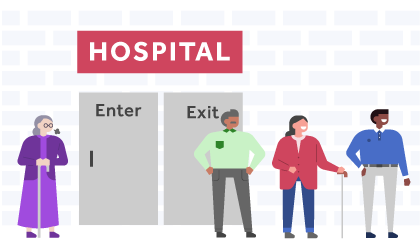 While patient discharge is an end to a patient's time in the hospital, it should not conclude care management, especially because poor discharge planning could lead to risks with patient safety and readmission. For example, a classic study found that nearly 20% of patients experience adverse events within three weeks of discharge. As reducing readmissions becomes more important in care management, consider these four strategies to improve patient discharge. When patients have longer wait times, they may be more susceptible to infection and other safety risks. Determine the length of your discharge wait times and assess your performance to identify ways to decrease these times. Plan for discharge starting with admission rather than waiting until it’s time to release a patient. Methods of engaging with patients can take many forms, but one of the best ways to improve engagement with discharge planning is to provide patients with a useful resource. 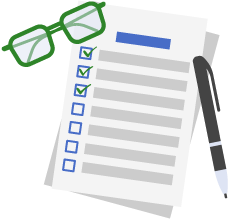 One checklist that you can adapt for use in your facility is “Your Discharge Planning Checklist” from the Centers for Medicare & Medicaid Services. Finally, by learning from the patient experience, you can work to improve areas where patient discharge might be weak. Survey patients to find out if they felt prepared for discharge and ask if any educational materials provided were helpful. Request any recommendations they might offer to improve the process. An important part of strengthening discharge planning may include using the right tools. With so many resources available, we gathered five that we found interesting. 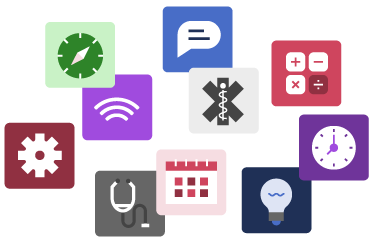 For clinicians seeking additional resources to improve patient care, we compiled 13 apps we thought would be useful. In addition to apps specific to patient care, there are even more healthcare mobile apps that can improve the quality and safety of care. Medisafe’s founders created this app after their father accidentally took an extra dose of insulin and learned that similar situations happen often and end tragically. This app helps millions of patients take their medication on time and as prescribed. 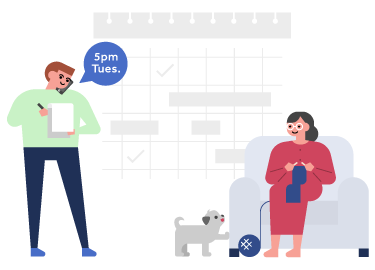 Round Health was founded by ex-Apple engineers and is similar to Medisafe, with features such as organizing the user’s medications and vitamins, setting up schedules and doses, and refill reminders. A unique feature is the app’s electronic medicine bottle, called Round Bottle. It offers automatic medication logging, performance tracking and insights, and caretaker notifications and alerts. It has GPS tracking, so it knows when users are away from the bottle, and also has a removal sensor to detect tampering. 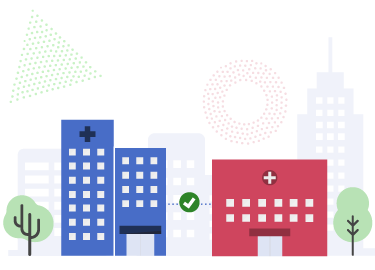 A comprehensive platform, TrekIT is designed specifically for care coordination. It includes team-based task management functionality that helps improve clinical effectiveness. It was also designed using direct input from a wide range of users, including physicians, nurses, care managers, and clinical subject matter experts. Finally, Wellth is a health IT company based in Brooklyn, N.Y., that is working on providing a solution for medication non-adherence for chronic disease patients. Its Wellth app uses an innovative model incorporating behavioral economics and technology. Patients are offered an amount of money to take their medication for a specified amount of time. Using the app to verify adherence, patients take a picture of the medication in their hand. A penalty is applied each time patients fail to take their medication. Wellth states that this model has helped reduce readmission for their clients by 40% or more. While you may have reached the end of this e-book, your work has only just begun. Now comes the hard part. It's time to implement what you’ve learned so you can create a care management program that delivers significant, measurable improvements in your quality of service or further strengthen a program that is likely already helping you provide high-quality, cost effective care. Do you feel like you already have a pretty good care management program? That's terrific. But ask yourself: Would you settle for satisfactory care or would you want exceptional care? Apply that to your care management program. Can it be better? And if it can, shouldn't it be? That needs to be the mentality that drives any care management program. 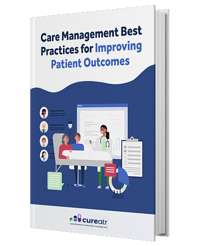 Apply the guidance from this e-book and other valuable care management resources you have come across and strive to turn good processes into great ones. Share these resources with the various areas of your organization that would benefit from the recommended practices provided within them. Bring together stakeholders and program champions and work to make meaningful changes. As you do, measure and monitor them to ensure they are having their desired effects. If results come up a little short, that's okay. You can find some satisfaction in improvements of any size — after all, even a small improvement can have a significant impact on the patient experience. Then keep working to achieve bigger enhancements and see how they affect an even larger portion of your patient population. Know that such gains are possible for any care management program. By maintaining an unwavering commitment to the building blocks of care management — a team-based, patient-centered approach to care — and a desire to truly transform your delivery of care, you may be surprised how quickly your efforts begin to positively impact the lives of your patient populations. Save this information for later. Download the PDF version now.